I know you are all probably dying of suspense, but I’m taking a quick break from the post on our bathroom to blog about Madalyn’s Halloween costume this year! 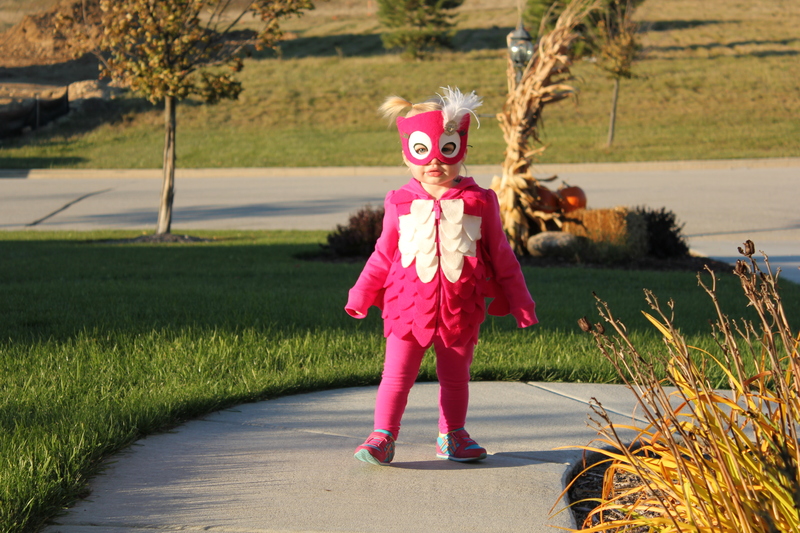 As I have mentioned in previous posts, Maddy LOVES owls, so it seemed fitting that she should be an owl for Halloween. 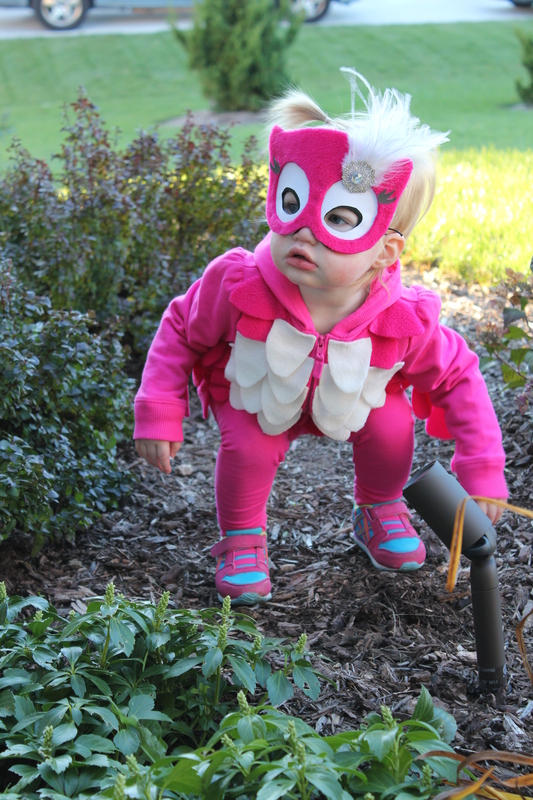 I found a blog that had a homemade owl costume, and partially replicated it. You can find her post here, but I have included my own directions and tips below. 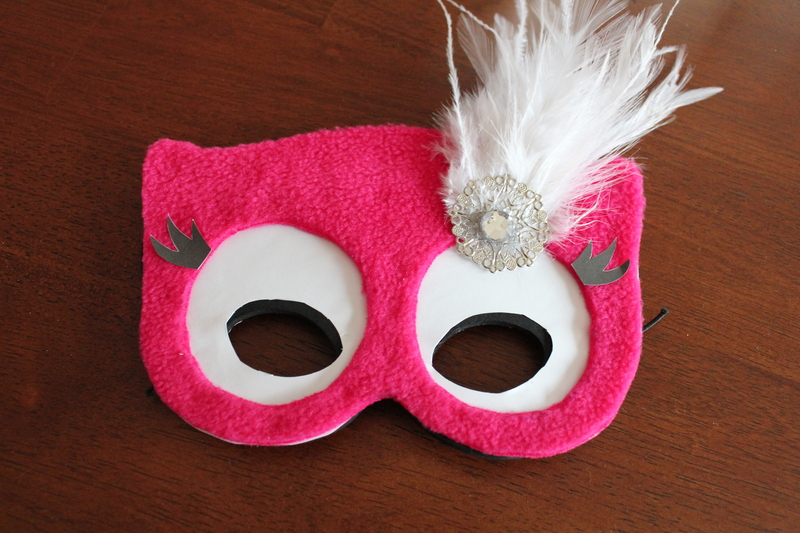 Her blog has the templates you will need for the feathers and mask. If you are looking for a costume you can throw together last-minute before Halloween this year, give this a try! 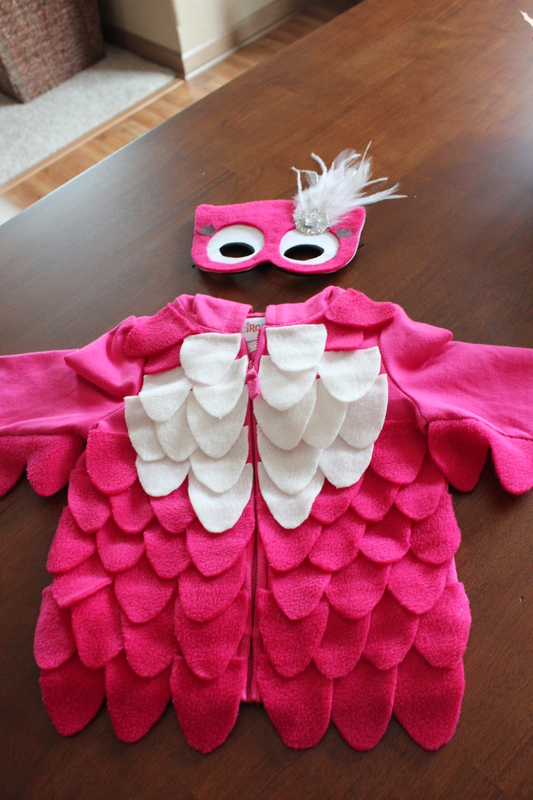 It’s cute, warm, inexpensive to make, and it can be made for either a boy or a girl by just changing the color fleece you use. 1. Hooded sweatshirt in the color of your choice. I chose a pink sweatshirt from Target (Circo brand) and it is a 3T. The size of your sweatshirt will potentially change the amount of fleece you will need and the amount of feathers you will need to cut out. 2. Foam mask. I found this one at Target and it was only $2.00! Perfect for this project. 3. Fleece. I used about a 1/2 yard of pink fleece, and about a 1/4 yard of cream fleece. I chose the non-pilling fleece at JoAnn Fabrics because it seemed nicer in quality and I’m hoping it will hold up if I need to wash her sweatshirt at all. 4. Glue. 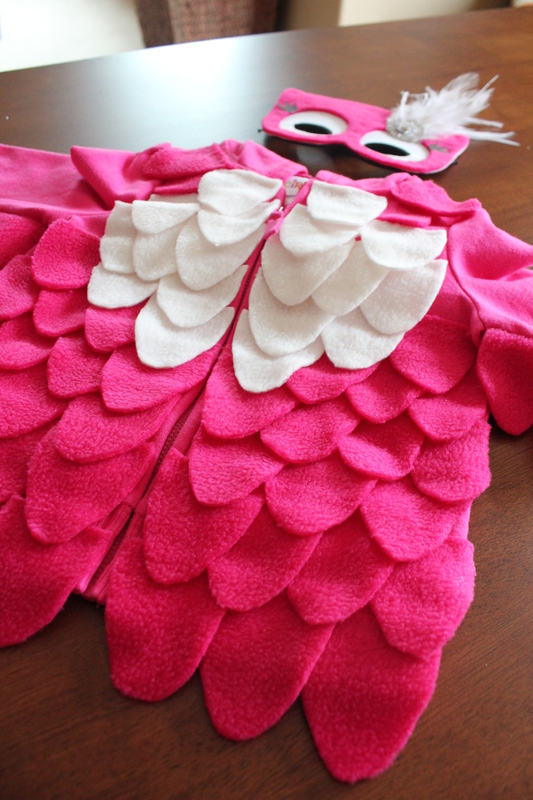 I used Aleene’s Fabric Fusion Glue to glue the fleece feathers to the sweatshirt. I used Aleene’s Tacky Glue to make the mask. I also had to pull out my hot glue gun for use on part of the mask. 5. Two sheets of white cardstock. I printed each of the templates on a piece of white cardstock. 6. A rosette or some sort of decorative item for the mask (if you are making it for a girl). I found this one at JoAnn Fabrics. 7. Pink (or whichever main color you chose) thread. Download each of the “Owl Templates”. You can find those on the Pure Joy Events Blog. Print out “Owl Template 1” on cardstock. Cut out the pieces. 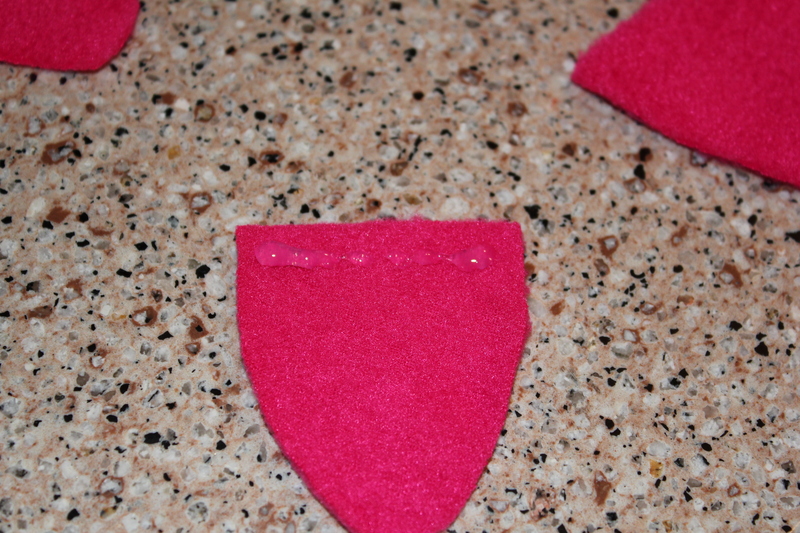 Using the “arm” piece, cut out the length needed onto the pink (or dominant color) fleece being used. I only needed four of the feathers, instead of the five in the template because my sweatshirt was smaller than the one she used. I pinned down the fleece in order to make sure I got an accurate cut. Using the matching thread, hand-sew the arm piece onto each arm of the sweatshirt. The hand-sewing will help keep the stitches from being seen. I can’t even tell by looking at the sweatshirt that the feathers on the sleeve weren’t already part of the sweatshirt. 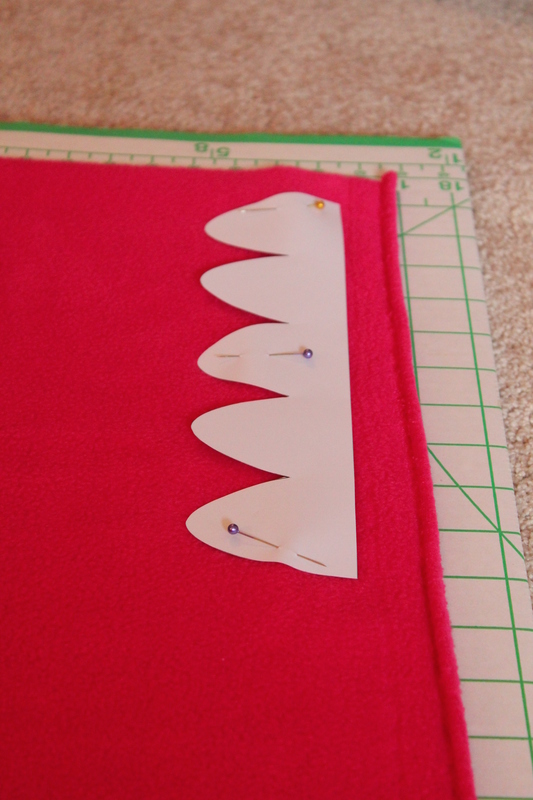 Using the pink fleece again (or whatever your dominant color for the costume is), cut out feathers. 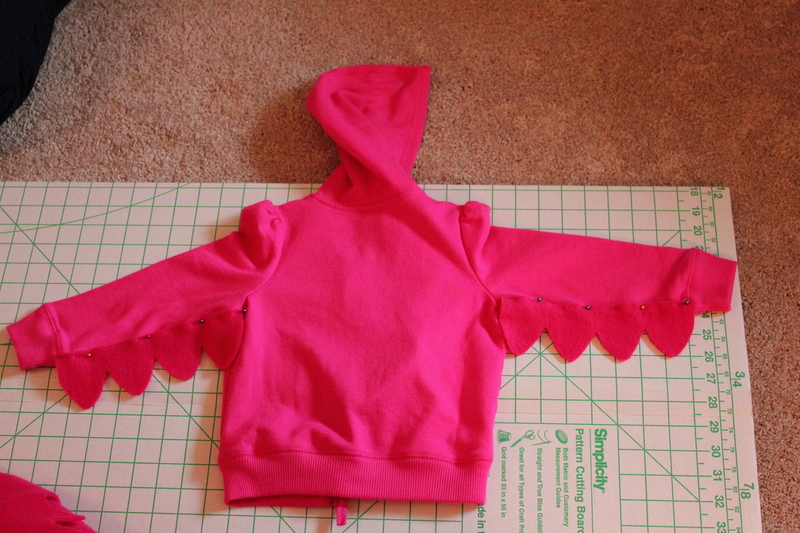 For my daughter’s 3T sweatshirt, I used 42 pink feathers. Using the cream fleece, cut out additional feathers for the chest portion of the owl. For a 3T sweatshirt, I used 18 feathers. Slip a piece of parchment paper into the inside of the sweatshirt, just in case the glue would leak through the sweatshirt and stick to the back. 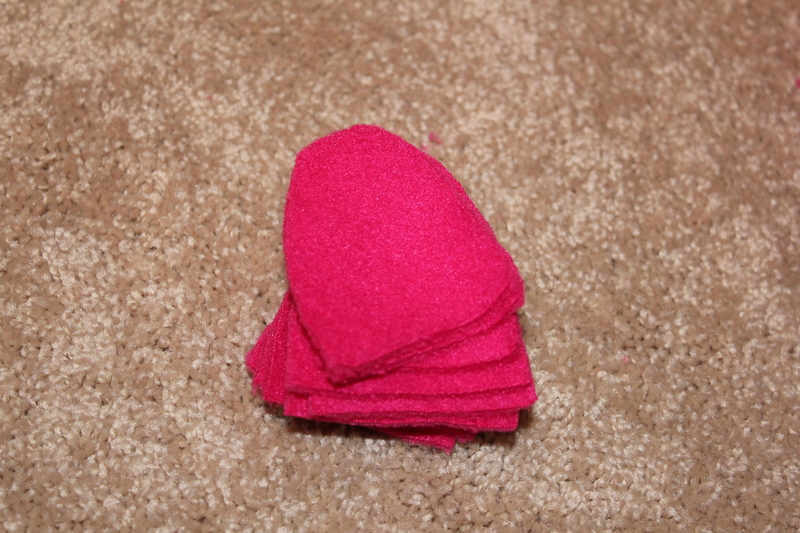 Line a pink feather with a small amount of the Fabric Fusion glue. 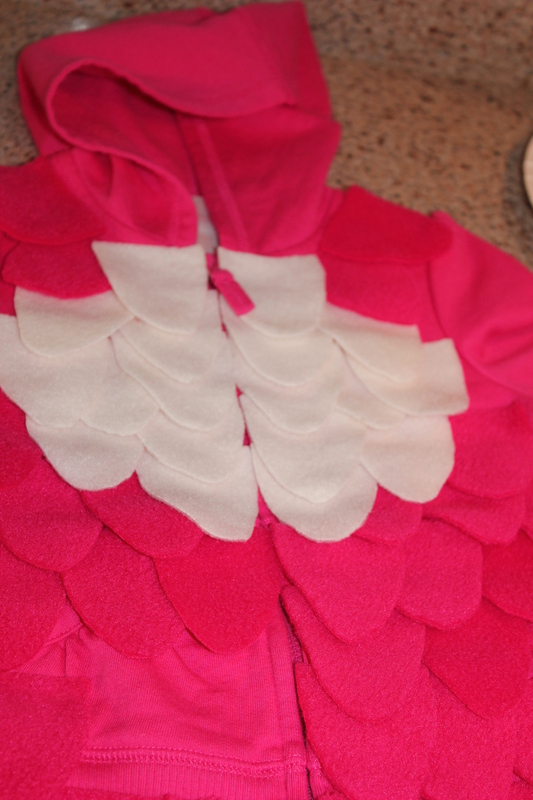 Starting at the bottom of the sweatshirt, glue on each feather, overlapping as you go. Use the cream color in the chest portion to create the full owl look. Allow the sweatshirt to fully dry. Mine took about 4 hours to feel dry, but I let it continue to lay flat for a full day before moving it. Now, for the mask. Print out “Owl Template 2” on a piece of white cardstock. Cut out the pieces. I did not use the “beak” or the “eye” pieces because the mask I used was not the same as the original blogger’s. 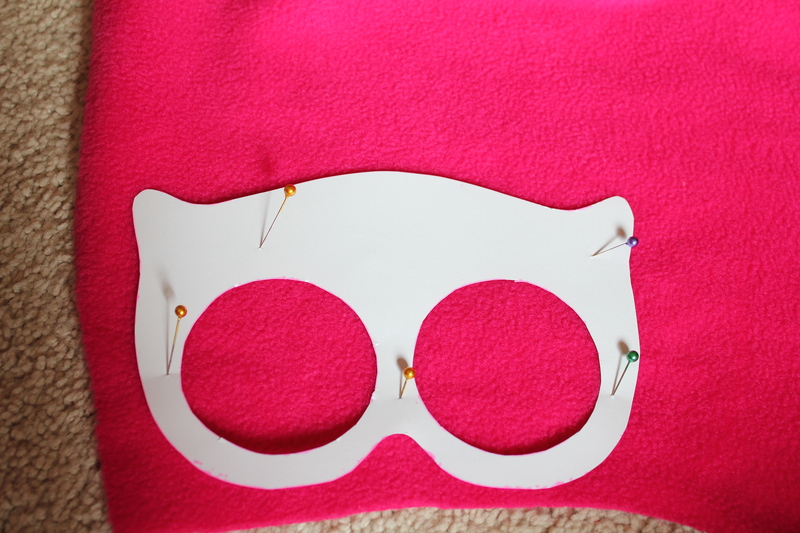 Using pink fleece, cut out the mask from “Owl Template 1.” Again, I used pins to keep the mask in place. 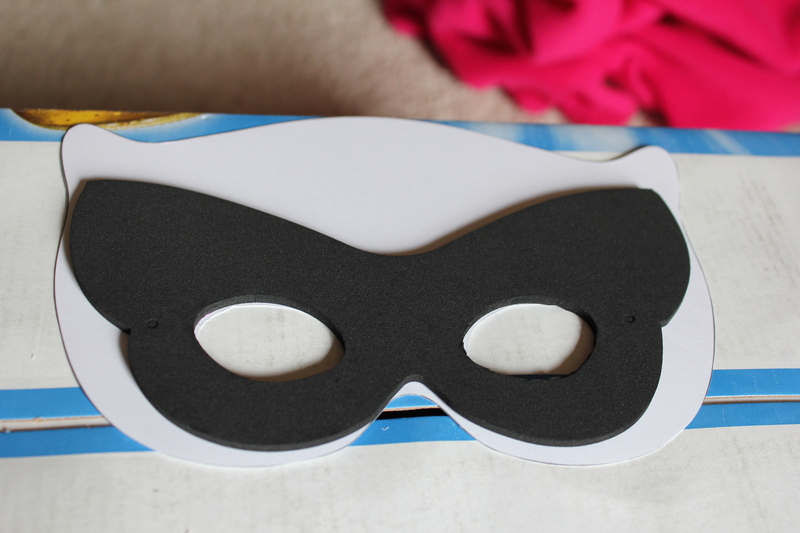 Line the mask along the white cardstock mask from “Owl Template 2.” Cut out the eye holes. 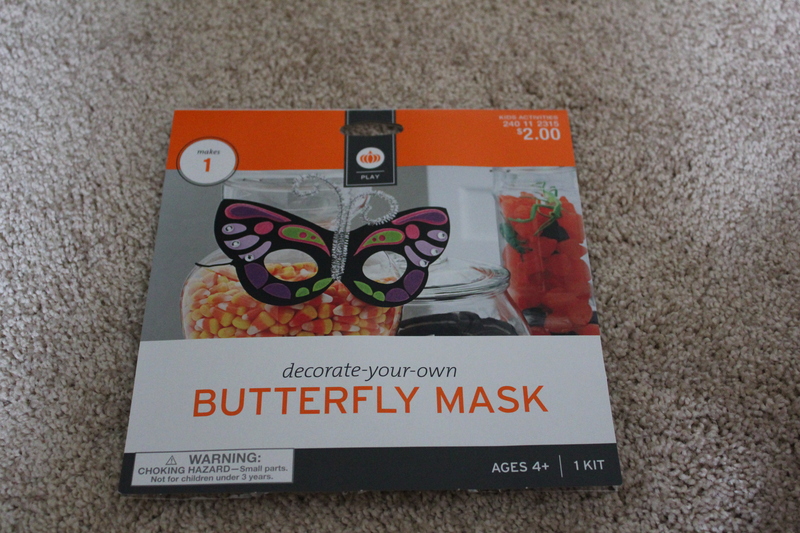 Note: I put the patterned part of the butterfly mask facing the back so that it wouldn’t show through at all. You will see what I mean if you choose to use the same mask that I did. 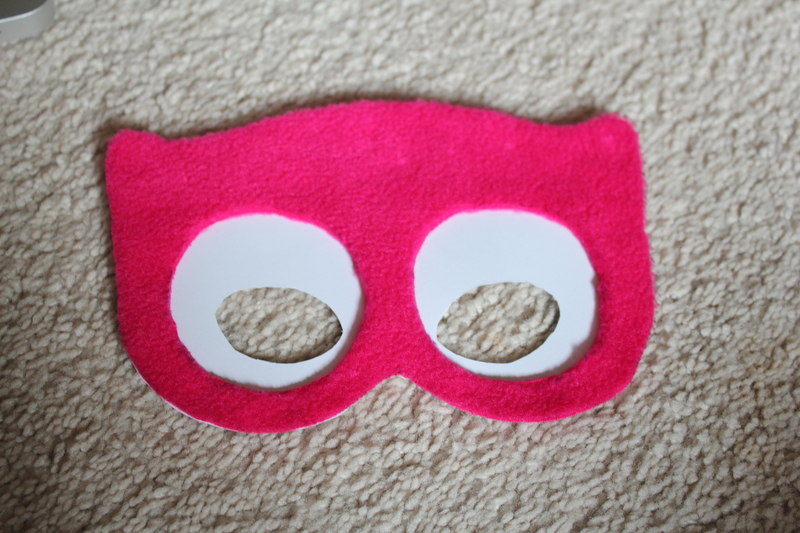 Glue the pink fleece mask on top of the white cardstock & foam mask. Glue on the lashes and the decorative piece you chose, if any. 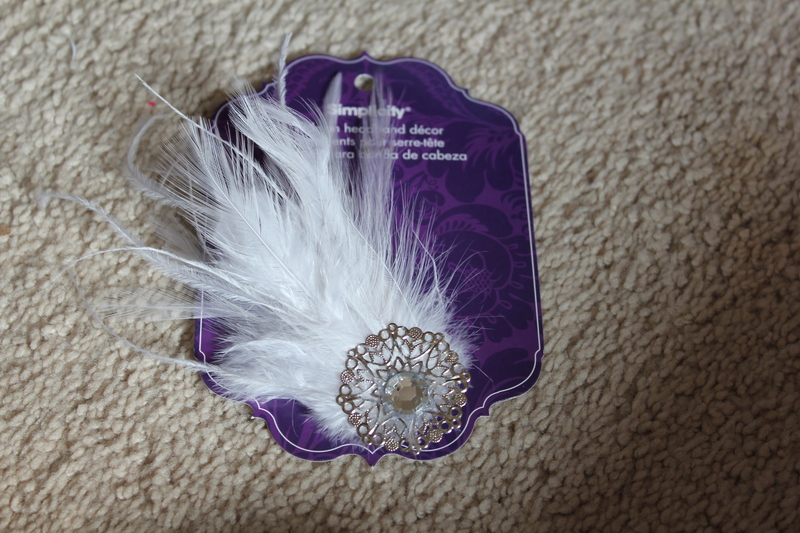 I used hot glue for the feather since it was on the heavier side. I purchased a matching pair of pink leggings from Target to complete the outfit! I don’t know how long Maddy will keep the mask on her face, but when we tried it on, she looked nothing short of adorable in it! I want to make this but the links to the templates are no longer valid – do you have them by chance still? Unfortunately, no, I didn’t save them! But, I do think that you could just kind of wing it for most of it, and it would still turn out okay!